Marshfield, WI (OnFocus) Robert M Wild, 813 E 4th St, Marshfield, WI 54449, has been ordered to appear in Wood County Court on April 22, charged with two misdemeanor counts of intentionally mistreating animals. 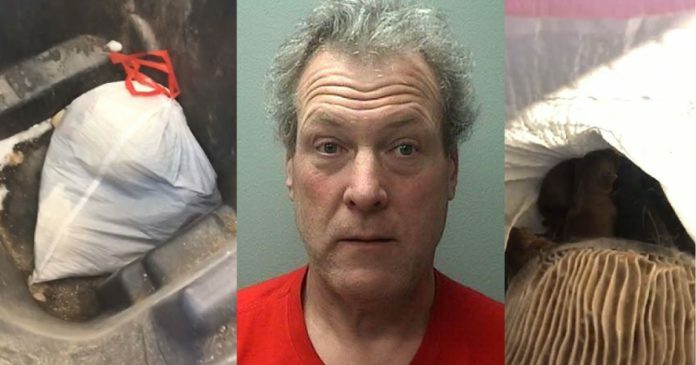 The 56 year-old man was accused of putting nine newborn puppies in a garbage bag and then disposing of them in a dumpster. Marshfield Police responded to a report of kitten sounds coming from the dumpster, at which time they found the puppies inside. The puppies were then taken to Marshfield Area Pet Shelter and placed in foster care, where they are currently doing well. MAPS has temporary custody of their mother. Adoption applications will be accepted after April 11. According to Wisconsin State Legislature, For a Class A misdemeanor, Wild could face a fine not to exceed $10,000 or imprisonment not to exceed 9 months, or both.